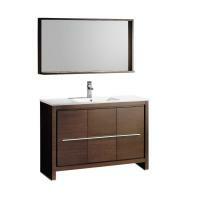 This lovely espresso finished vanity delivers everything that a modern bathroom requires for ultimate functionality. The cabinet features under sink storage and eight drawers for personal items. 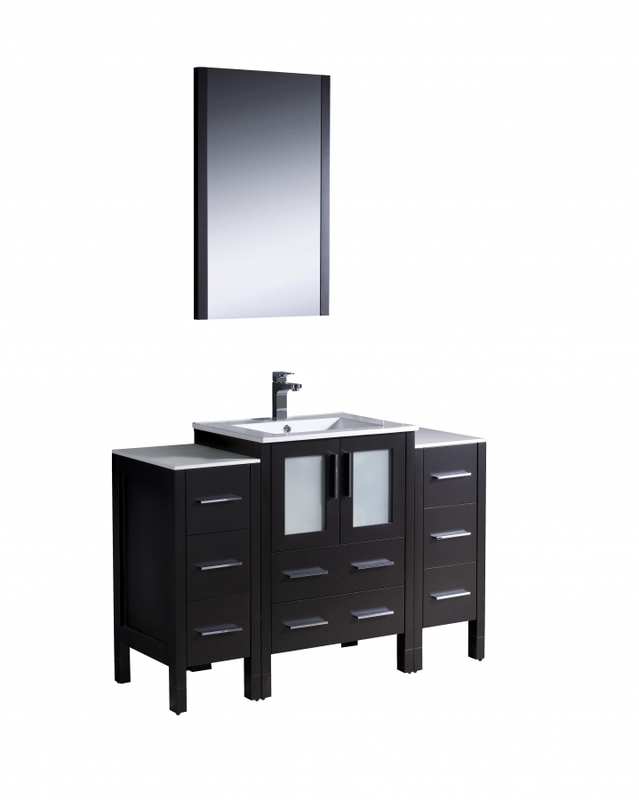 Above, a bi-level counter offers plenty of work room and the integrated ceramic sink delivers functionality. Comes with matching mirror.